Goodness! The beautiful weather is here! We have sunny skies and birds singing and (dare I say it) I think we are done with the snow. Well, I do tend to say that every April and Mother Nature often drops a bucket full of snow right on my veggie garden early May. But this year I feel completely optimistic (again) so the kale, spinach, pea, and carrot seeds are planted. Fingers crossed! I hope you have some beautiful weather too, because I have some fun activities for you that are even more fun when it is sunny. Not because you need to do these outside in the sun, it is just better. Everything is better when you can be outside in the sun. I have mentioned here before the importance of rhyming. 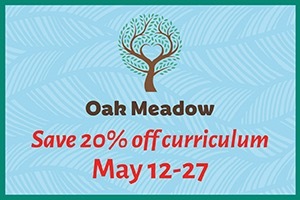 Did you know that a child’s ability to rhyme in Kindergarten is a direct predictor of reading success in Grade 1? 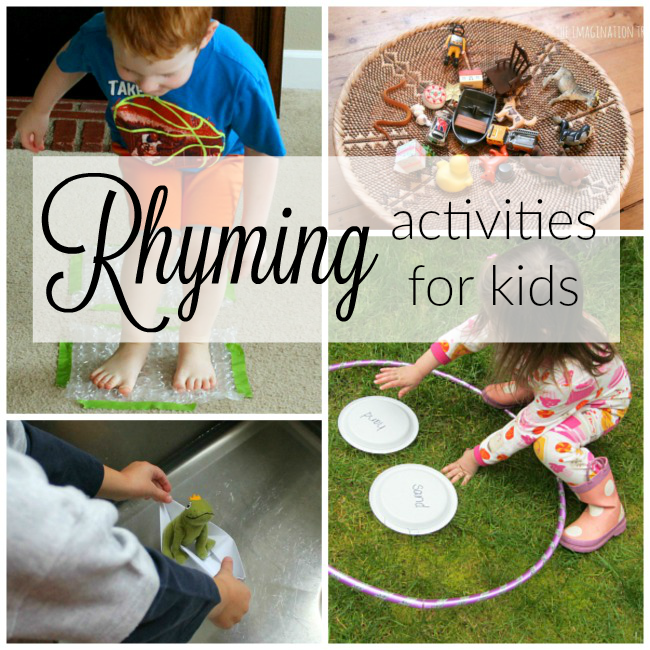 Rhyming activities for kids! 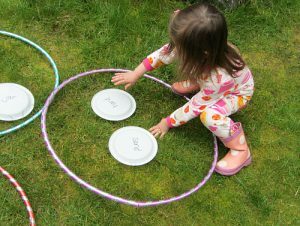 These are great rhyming activities to get children moving and learning with their whole bodies. 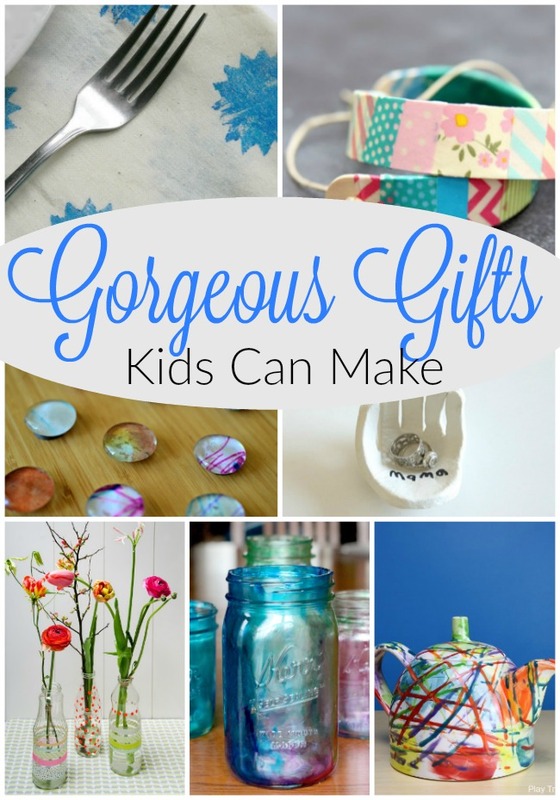 And if your little one is struggling to pick up this skill, don’t you fret. 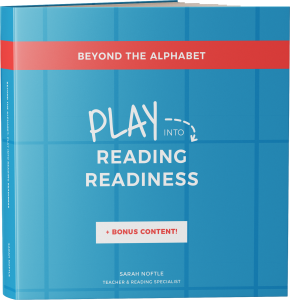 Give it a little time and a little creative practice and you will have a rhyming machine in no time at all. 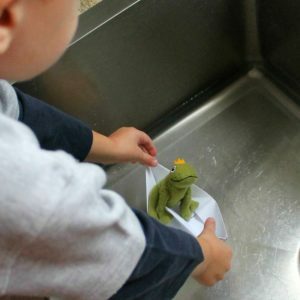 The Great Boat Float – My son had such fun going on a rhyming walk to find items that would fit in an origami boat. I love that he changed the activity to to take it to another level. 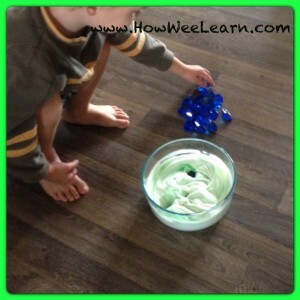 Rhyme or Slime – Combine literacy with a sensory experience with this awesome rhyming game. The sensory aspect of this game helps engage children in a new way as they explore the concept of rhyming. 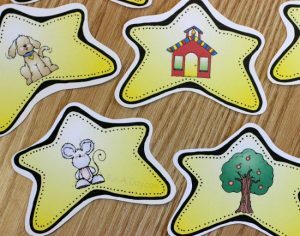 Twinkle Twinkle Little Star Rhyming from Fun-A-Day – Use the free printable rhyming stars for a simple matching game. The cards could also be used to find rhymes around the house or classroom, or for a rhyming memory game. Crayon Color Chant from Growing Book by Book – A super simple rhyming activity that just requires some colorful crayons! 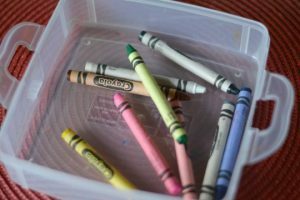 Make up your own rhyming chant for the crayons, or use one of the ideas included in the post. 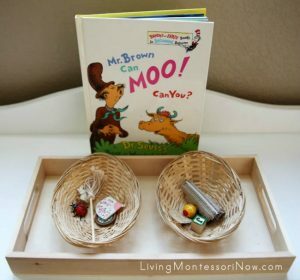 Rhyming Pairs Basket Game from The Imagination Tree – Use toys and items from around the house (or classroom) to set up this easy rhyming game for the kids. A very hands-on way to work on rhyming skills. Find and Rhyme Game from No Time for Flash Cards – This rhyming game gets the kids moving! Depending on the kids, you can write words on the plates or use pictures instead. There’s a Wocket in My Pocket Rhyming Scavenger Hunt from This Reading Mama – Put together a scavenger hunt of made up words based on a favorite Dr. Seuss book. How fun that the child’s artwork was used as part of the game. 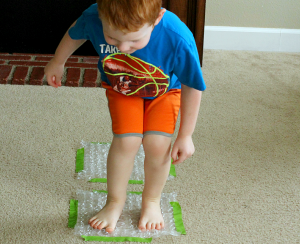 Hopping Rhymes from Mom Inspired Life – Grab a roll of bubble wrap and get to rhyming! 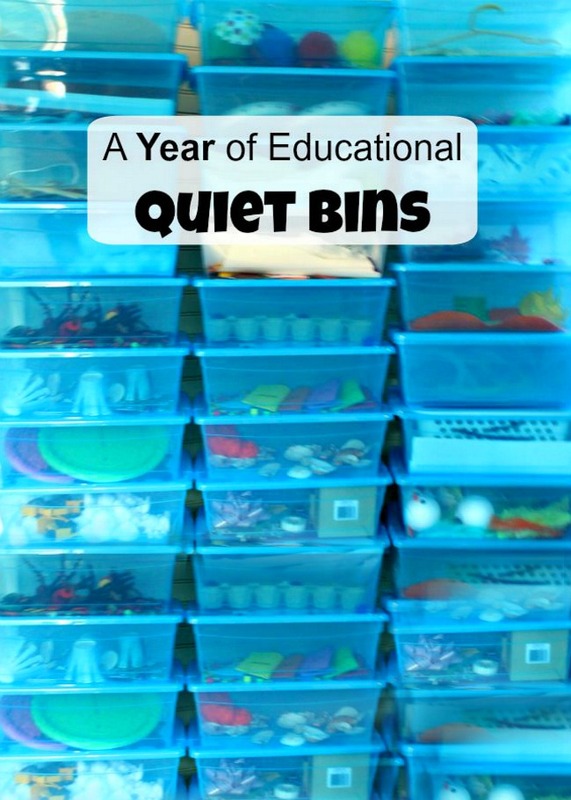 The kids will definitely have a blast moving and practice rhymes with this idea. 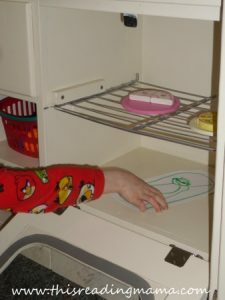 Erase a Rhyme from PreKinders – You just need a white board, a dry erase marker, and an eraser for this rhyming game. Take turns drawing the rhyming pictures. 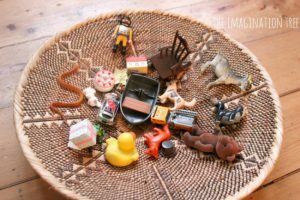 Montessori-Inspired Rhyming Fun from Living Montessori Now – Use small toys for a hands-on rhyming experience for the kids. You can choose random items or link them to a favorite book. 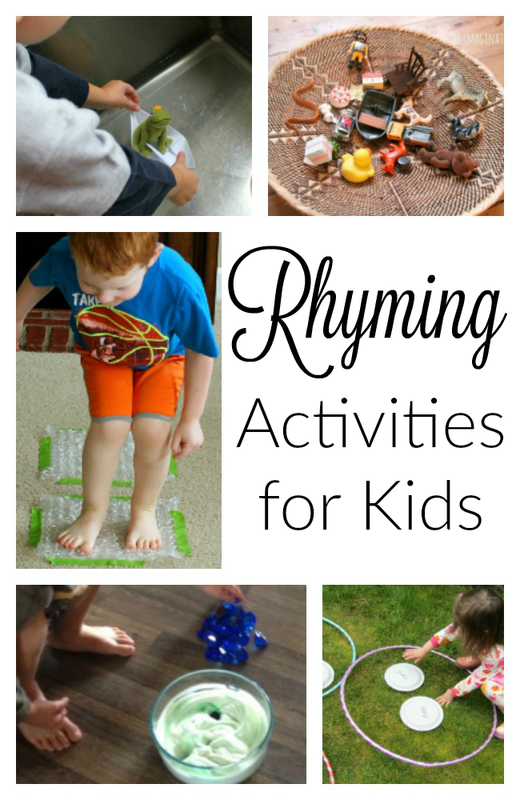 I hope you found a rhyming activity or two that is just perfect for you and your little one. And I also REALLY hope the sun has found it’s way to your backyard. Oh that lovely, lovely sun! Thank goodness for Spring.